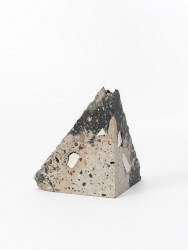 Bookend, Granby Workshop, 2015, Crafts Council Collection: 2016.12. Photo: Stokes Photo Ltd.
Bookend, Granby Workshop, 2015, Crafts Council Collection: 2016.12. Photo: Stokes Photo Ld.